It’s happy hour somewhere! I’ve had the pleasure of having drinks at the Walker Inn twice so far. The first time I went with a group and we sat in the lounge area, the second time was at the “omakase” bar. My visits were both in December, which is when they had their holiday villain menu. Drinks were named after things such as the Sticky Bandits, The Grinch, etc. First off – if you get any sort of hangover I highly recommend telling the bartender to stick to only one spirit. The next days were not my best. Although it is quite nice to be able to try a few things off the menu, I tried all the whiskey beverages and one wine situation (the Grinch). Every drink tells a story – like what would the grinch drink? I loved that they were all thought through so well. One of them came with a flask on the side, another in the cutest budweiser glass, you really can’t go wrong. My absolute favorite was their version of a hot toddy which came with ice cream on the side. The ice cream tasted like ice cream cake, which is pretty much one of my favorite things in the world. All in all, The Walker Inn is a fabulous place for special occasions. The drinks are on the pricier side at $20 a pop but absolutely worth it. Just don’t forget to make a reservation! The bazaar by Jose Andres Part tres. 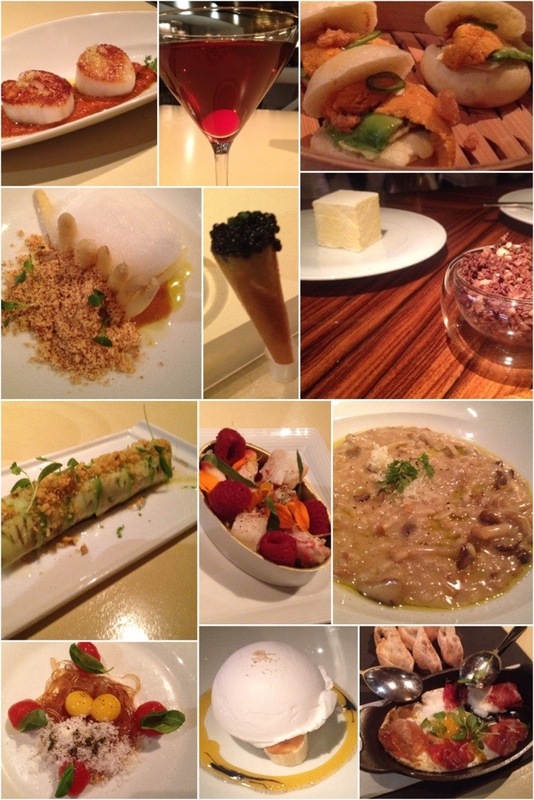 I had dinner at The Bazaar by Jose Andres this week. Always a wonder dining experience. I find myself trying to order anything that sounds obscure (or just plain delicious) like Ceviche and avocado roll, Wild mushroom rice, Jamon iberico and fried farm egg with truffle butter and “your life will change” dashi linguini (with Parmesan, quail egg, basil). My life was changed- Jose does not lie. For dessert I had the hot chocolate mousse, but the best was the Nitro Coconut Floating Island and Dark Chocolate Pop Rocks that my friend ordered. I’m ready to go back now…who’s with me?? Remember when I was Torn between Teas? I finally decided (okay, I flipped a coin….) 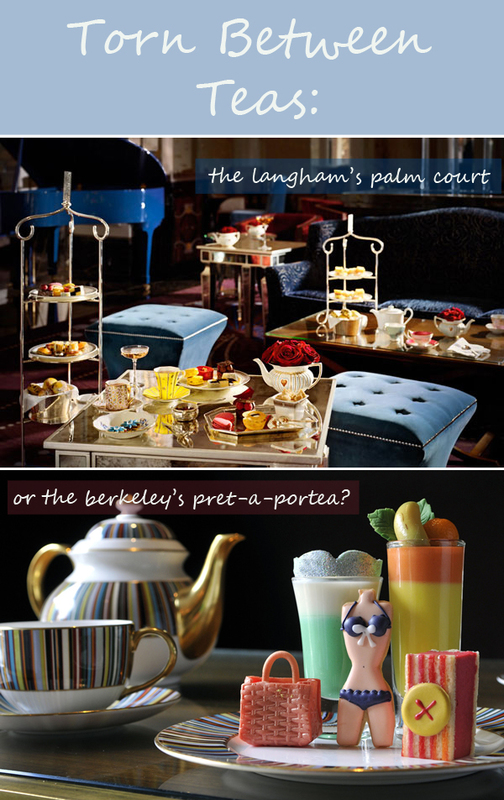 to do The Berkeley Hotel’s Pret-a-Portea. Delicious as it was creative! They let you get seconds on EVERYTHING. It’s like going to a family reunion where they won’t stop making you eat! So much fun looking at and eating the little couture-esque goodies. I had Earl Grey tea (my absolute fav!) and two glasses of laurent perrier. The Paul Smith china was stunning. I will definitely try the Langham another time but this extra special tea was a perfect birthday treat. Our lovely server even had a little birthday dish made for me. A sugar rush immediately followed! Yum! Not just any tea will be had- but a Birthday Tea in just under two weeks. It’s my idea of the perfect relaxing birthday. People think that all you do is eat tiny sandwiches and are still hungry after, but the British do it RIGHT. Their afternoon teas are coma-inducing. They will force seconds of sandwiches, scones, crumpets, cakes, tarts, tea, champagne, you name it! First up: The Langham’s Afternoon Tea. Awarded by the Tea Guild as one of the top Afternoon Teas in London. Yes, they have a tea guild, and it is like the Oscar’s of Afternoon Tea. They have been serving tea since 1865. My second option is The Berkeley’s Pret-a-Portea. According to their website, it is “inspired by the themes and colours of the fashion world. The menu is transformed every six months to follow the changing seasons in fashion.” Equally amazing! And both so different and special in their own way. I can’t chooooose! London is underrated. Spoken while completely delirious. I love love love London. I will be spending my birthday (and a few more days) in London next month and am beyond excited!! I don’t think I’ve ever had a birthday outside of California. One thing I MUST do on my actual birthday is afternoon tea. I have two reservations booked and I am trying to decide which one to honor. One is award winning and classic (The Langham), the other is in a cute boutique hotel (The Berkeley) and has a fashionista’s tea. Complete with “name brand” food. I also plan on riding the London Eye for the first time and spending lots of time inside Liberty and Topshop. 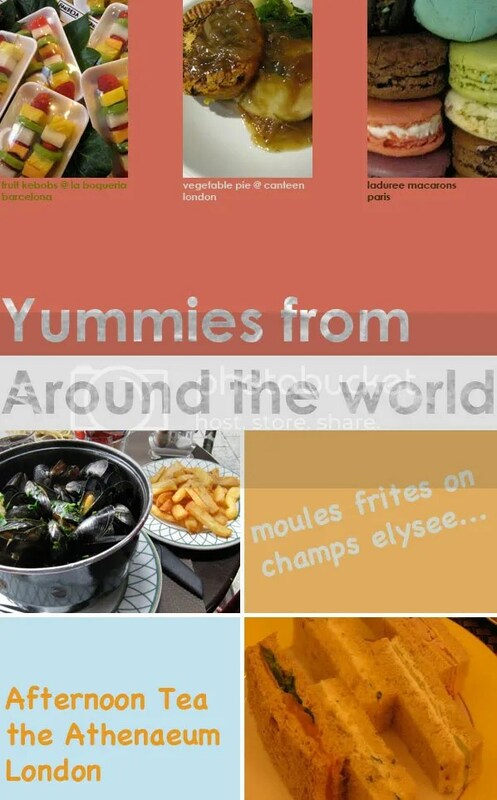 Also can’t wait to try some great restaurants out there. Must consult goop.com for suggestions! Let the excitement begin! >These are a few of my favorite teas! >Afternoon Tea is underrated. Some people think that it’s girly (which it KIND of is…) and all you do is eat tiny sandwiches and you’re still hungry afterwards. Now let me tell you, I have rarely had an afternoon tea where I was hungry within 6 hours of leaving. I actually thing people should fast prior to Afternoon Tea! lol. It’s probably one of my favorite things to do on a leisurely afternoon. I think that LA has nothing on the Afternoon Teas in London (where they are pretty much shoving sandwiches, scones, crumpets and 18 different kinds of desserts down your throat), but they are still delicious, fun and relaxing on any day in LA. My two favorites are the Millenium Biltmore and Chado Tea Room. The Millenium Biltmore tea takes place in the Rendezvous Court, a gorgeous space just off of the lobby. The architecture is breathtaking and they either seat you on cute comfy couches or big arm chairs, both of which I could sit in for hours. 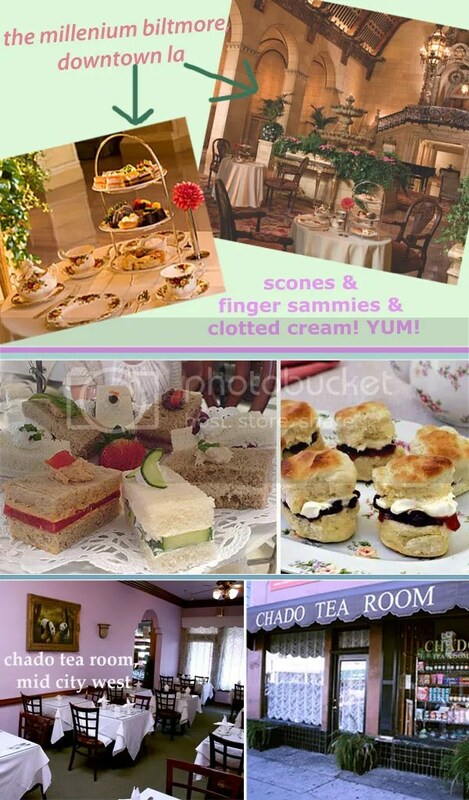 Chado Tea Room has more of a restaurant set up, with tables set up inside one main room. This is a great place for a more casual atmosphere, bigger groups or for meetings. When I was there over the weekend a guy talking (LOUDLY) about how they are blaming Ronald McDonald for obesity in America. Good times. They also have over 200 different kinds of tea, so it is a bit overwhelming if you’re not a tea connoisseur. I just chose the Chado Afternoon Tea, which was delish (and a good deal since all tea is the same price when you order the afternoon tea set)! I also love Jin Patisserie in Venice and Paddington’s Tea Room in Beverly Hills. Jin is especially great during warm weather. I have yet to try the ones at Beverly Hills Hotel, SLS Hotel & The Peninsula, but hope to check some of those off my list this summer. Who’s with me?? >I took approx. 20 hours of out of my weekend to take a blogging + photoshopping class. It was well worth it. My mind has been blown and I recommend the course to anyone! And it’s all in one weekend (intense, I know!) but great for anyone who doesn’t want to commit to a 10 week class. It’s in a gorgeous loft in Downtown LA. I wish I could take it again! It is put on by Bri Emery of wwww.designlovefest.com & Angela Kohler of http://www.angelaandithyle.com/www.angelakohler.com. I had to compile some photos to make a blog entry and could not stay away from my trip to Barcelona, London & Paris last summer! I THINK I MISS IT!